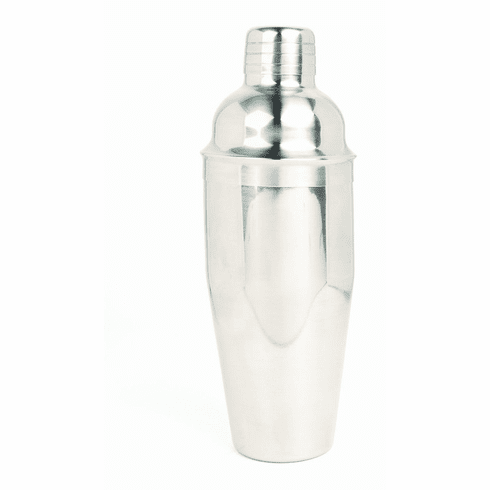 This classic cocktail shaker is a must for any cocktail party or home bar. The 3-piece stainless steel shaker has a jigger top and built in strainer. Strainer top tighly secures onto the shaker to prevent leaks and drips. Holds 25 ounces. Measures 9-1/4-inches high by 3-1/2-inches diameter.